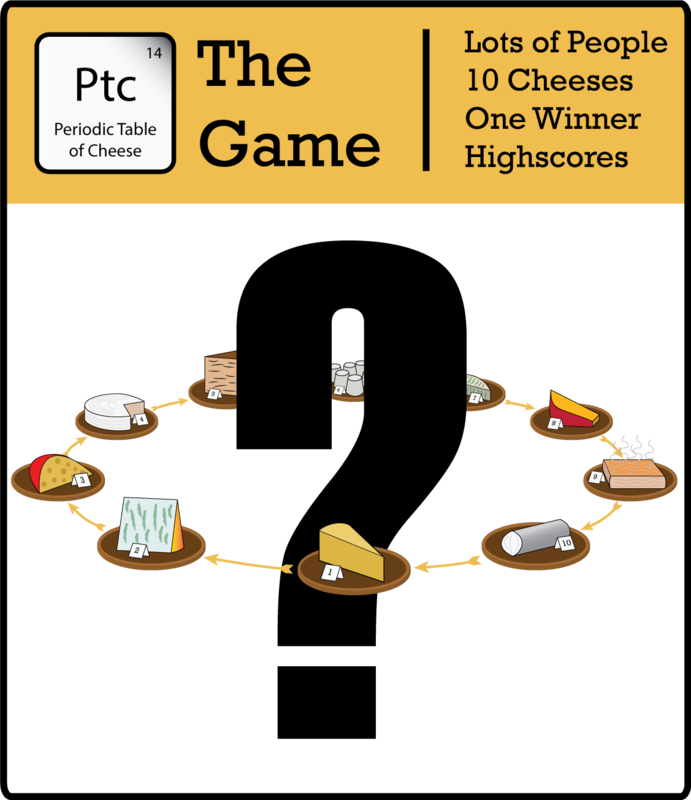 The Periodic Table of Cheese - The Game - is a cheese tasting game. There have been competitive cheese tasting events forever, but now - thanks to the way the Periodic Table is laid out, for the first time you can have POINTS for getting close. This means that both cheese experts and casual cheese lovers can take part and still have a chance of winning! Then, we go into gameshow mode! On a big screen you'll see the results played out team by team, cheese by cheese, until we have a winner! If we have a tie, we'll have a sudden death tie-breaker. As soon as the night is over you'll be able to see your results on the website (and share them) - with leaderboards team by team, but also town by town and region by region! It'll be different every time. I won't lie to you, it's likely to be cheese. Where can I play and how do I get tickets? Click here to view Upcoming Events. If there's nothing near you, contact us and suggest an awesome local place for us to run a night and we'll see what we can do!